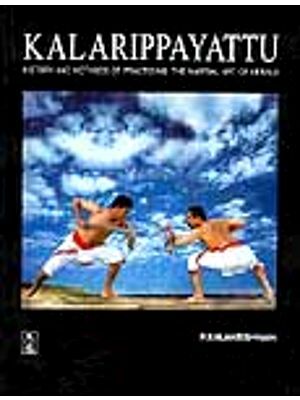 In clear, easy-to-understand language, this book will tell you how to learn and practice payattu with or without weapons. Action photography make poses and techniques easy to follow, and traditional oral commands in Malayalam have been rendered into English. The author, Chirakkal T. Sreedharan Nair (1909-1984), was a legendary exponent of payattu, who proved its practical value as a magnificent self-defense art. He taught, researched, demonstrated and wrote about disciple that become a lifetime’s researched, demonstrated and wrote about discipline that become a lifetime’s obsession for him, and set up the Sree Bharat Kalari in 1944. His book on Kalarippayattu, written in Malayalam and published in 1963, was the first of its most authentic reference work on this ancient art. 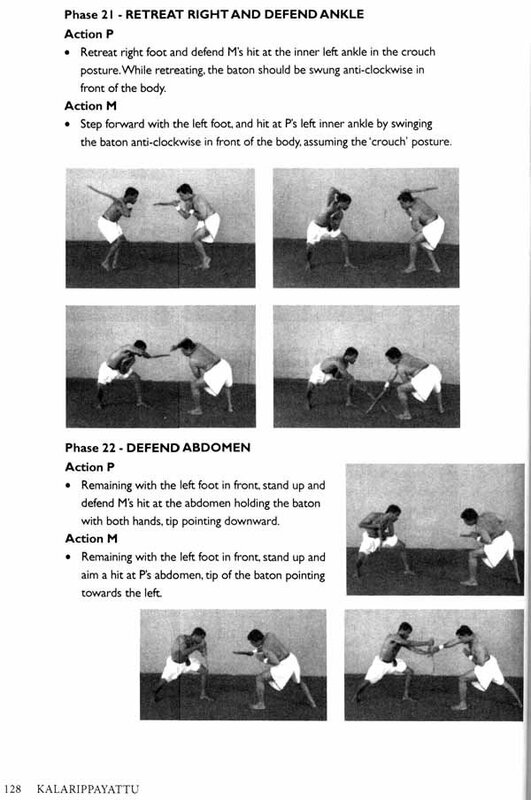 This manual has been adapted by his two sons, payattu adepts SRA Das and SRD Prasad, for the contemporary health and martial arts enthusiast. Chirakkal T. Sreedharan Nair (1909-1984), our father and the author of this book, was the third son of His Highness C.K. Rama Varma Valiya Raja of Chirakkal Kovilakam and Thayil Kalyanikutty Kettilamma. While in his teens, Sreedharan air took a keen interest in several fitness activities including weight-training, body-building and wrestling. He started learning kalarippqyattu, Kerala's martial art, when he was twenty-one. Contrary to the usual custom, he did not enroll himself as a student in a kalari. Instead, he was privileged to have several masters of payattu to teach him at home. 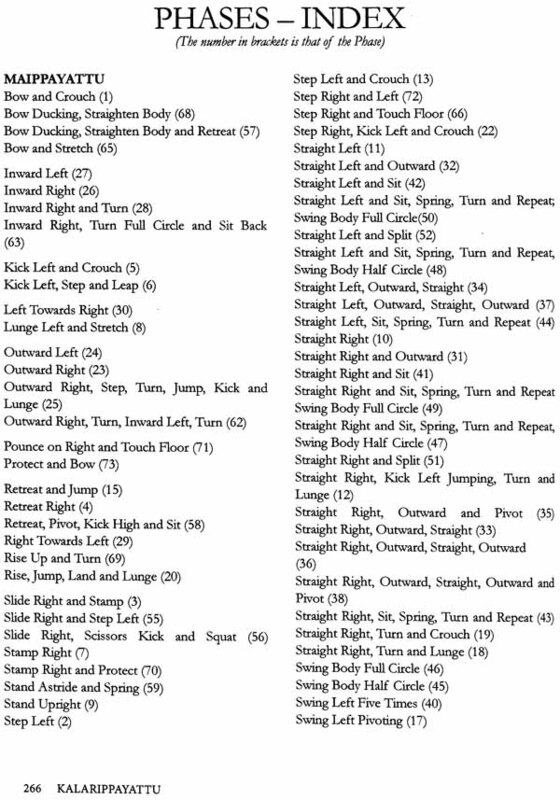 It was believed that one needed many years to learn the various stages of payattu. But Sreedharan air, propelled by a single pursuit of perfection, learnt and mastered all the fourteen series in maippayattu within a month; the nine advanced series in otta payattu in a fortnight; and all the five series in mara pitichu kuntha payattu in a matter of one week. According to him, the mental alertness and physical agility of a student and the expertise of a guru who is willing to teach unreservedly are of prime importance in a payattu training programme. From his personal experience as a student of payattu and as a well-known payattu master, Sreedharan Nair claimed and proved that any able-bodied and keen student could learn all the stages of payattu within a matter of months. He wrote and published a series of articles on kalarippqyattu and allied subjects from 1930 onwards. He gave radio talks. He and his disciples presented payattu demonstrations at various literary and cultural meetings in Kerala, Tamil Nadu and Karnataka. 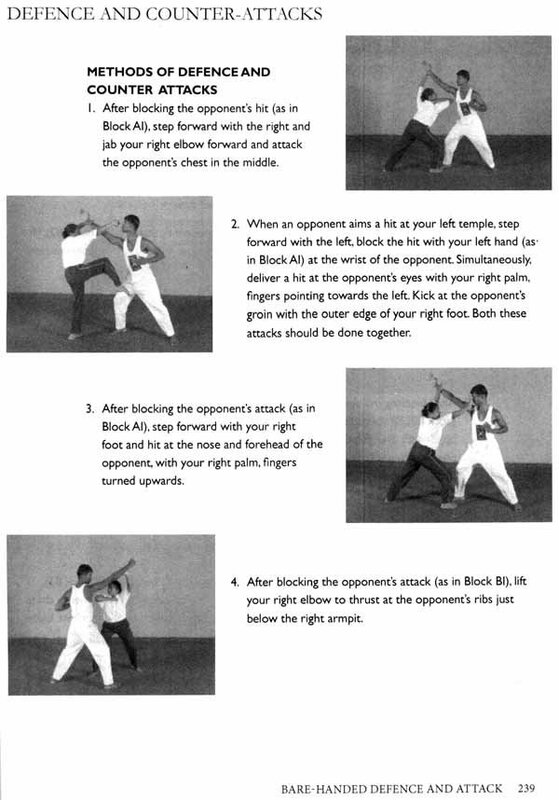 He taught anyone interested in learning this martial art. For attempting thus to demystify payattu he was regularly attacked, ridiculed and branded by some of the gurus of that time as one who had committed a sacrilege. According to them the techniques of this martial art were to be kept a closely guarded secret, to be personally handed down only to a chosen few. That was the centuries- old practice. And that was why many of the techniques had either gone into oblivion or died with the gurus. Sreedharan Nair made it his mission to popularise payattu as an ideal martial art form and to prove its relevance as an excellent self-defence technique and a fitness activity that would outlive the guru. In 1963 when his exhaustive book, Kalarippayattu, in Malayalam was published, Father had the satisfaction of having achieved his life's mission. In fact, no one had documented payattu so successfully ever before or after. In 1980 Pervez Merwanji, a Bombay-based award-winning movie maker, held a series of discussions with Father about making a documentary film on kalarippayattu. Apparently, Mervanji was so charmed by Father's attitude to life, his candid views and erudition that the movie eventually shaped up as a half-hour documentary on him! Mervanji's film entitled Way of the Malabar Warrior was released in France in 1981. Sreedharan Nair was a unique amalgam of practitioner, master, research scholar and author. He was an undisputed authority on every aspect of this martial discipline and became a legend in his lifetime. Parashurama, the mythical warrior sage, is presumed to have reclaimed the land of Kerala and parts of Konkan from the Arabian Sea as a new settlement for sixty-four Brahmin families. Out of them, thirty-two families were settled in Kerala. Parashurama, who had mastered the art of armed combat and archery under Lord Siva, taught these arts to twenty-one disciples in the new land that he had reclaimed. He and his disciples are believed to have then established one hundred and eight kalaris in different parts of Kerala. Historians say that a wave of Aryan settlers had moved into the Konkan region and eventually into Kerala some three thousand years ago. Those settlers belonged to the Bhargava Gothra, the clan named after Bhargava or Parashurama. Their cultural, religious and social practices took root in the land of Kolathiri in the far north of Malabar. Some hold the view that the Parashurama who is believed to have established the first kalaris is not a mythological charactor, but one of the early leaders of the Bhargava clan. They cite it as an example of how historical facts distorted by flights of fancy of succeeding generations, could get transformed, even elevated, to the level of myth. Mythology apart, the origin of payattu remains shrouded in mystery. No archaeologist, historian or sociologist has succeeded in producing any conclusive theory or view about the century and place where kalarippayattu, as a martial art, evolved and how it grew. However, theories abound. Hunting (naayaattu) which had developed almost to the level of a ritual in Kerala, had established its own terminology for hunters to communicate with one another about their quarry and positioning. They followed a highly disciplined ethical code while employing their skills. Perhaps, payattu borrowed and adapted several of those skills and the ethical code from the hunters of yore. Another theory of evolution points to the migration of Aryans. It is believed that some of the Aryans who migrated to the south of India, eventually settled in the Konkan region and Kerala. They might have brought with them several forms of art and culture and also techniques of fighting from the dbanur veda. 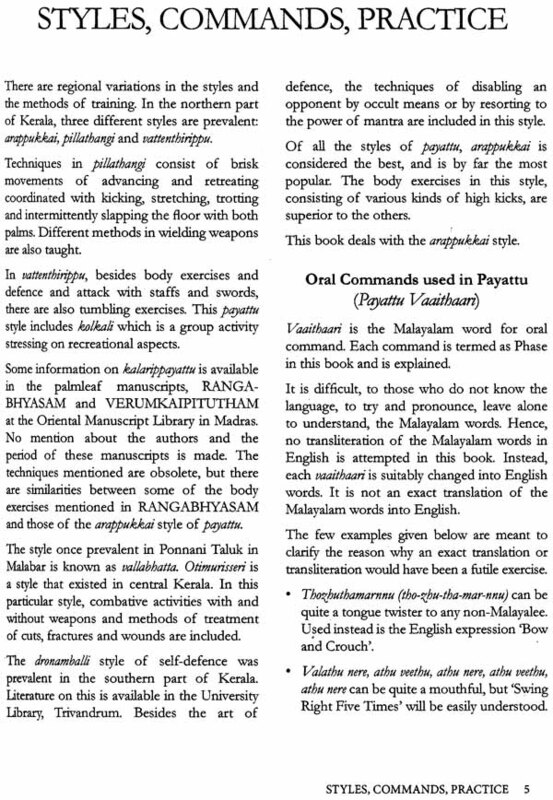 The people of Kerala must have imbibed some of them and adapted and interwoven them with their own techniques that evolved as payattu. The long arduous journey of generations through centuries and the synthesis of various types of martial arts from different parts of India might have eventually crystallised into kalarippqyattu as we know it. And Kerala cherished and nurtured it as its own. Archaeologists, historians and sociologists may probe deeper and come up with more views and theories about the century and place where kalarippayattu, as a martial art evolved and how it grew: However, for the present, the origin of payattu remains in the realms of mythology and mystery. According to some historians, it was during the Sangam Age (circa BC 200-600 AD) kalarippqyattu evolved and developed. Tamil literature and anthologies describe the warring tribes of that period. The word kalari is used for a battlefield and an arena for training in weaponry. The tribals (men and women) were trained in wielding weapons including the sword (val, spear (vel, bow (vil and shield (khedam); and they were ferocious in battle. The period between the 7th and 9th centuries was the Brahminical Age in Kerala. The Brahmins established their supremacy and influenced every sphere of the society. They set up centres called salais for training in the vedas and warfare. The Perumals (or Cheras) ruled Kerala from the 8th century to the 11th century. The Chera rulers patronised kalaris and established a fighting force with a core group of one thousand Nayar (or Nair) captains. And each captain had ten well-trained soldiers (or Chekons) under his command. The Cheran rule (8th to 11th century) overlapped a part of the Brahminical Age (7th to 9th century). During the Cheran rule, salai continued imparting martial training to Brahmin students, while kalaris groomed soldiers belonging to the other castes and groups. By then the Brahmins, having consolidated their domain, chose to remain as landlords and priests. They ceased training themselves in martial arts, but the salai continued imparting vedic education. Eventually the salai vanished from Kerala. But the kalaris continued to function, teaching payattu. The long rule of the Perumals in Kerala came to an end in the early years of the 12th century. The emergence of a number of kings and chieftains wielding almost total control over Kerala, resulted in the fragmentation of Kerala into principalities called swarupam. The political and administrative machinery in Kerala had more or less collapsed under the constantly feuding kings and chieftains. For personal benefit, they maintained private armies and mercenaries thoroughly trained in the art of warfare. One such was the Zamorin (samoothir) of Calicut (Kozhikode), He had a well-structured army under his control. There are records of the armies maintained by the Raja of Pazhashi, the Kolathiri royal family and a few others in Malabar, and others in the southern parts of Kerala.